Bloomberg reports that Apple will be unable to deliver their rumored live TV-over-internet streaming service for the Apple TV until 2016. Content negotiations are reportedly stalling the launch of the service, which Apple had hoped to be ready for their rumored September 9th media event. The company wanted to introduce this year a live TV service delivered via the Internet, but is now aiming for 2016, said people familiar with Apple’s plans. Apparently, pricing of the new TV service is one of the main hurdles in the negotiations. Bloomberg reports that Apple wants to offer "a package of popular channels" for $40/month, a significant discount from the average cable bill. 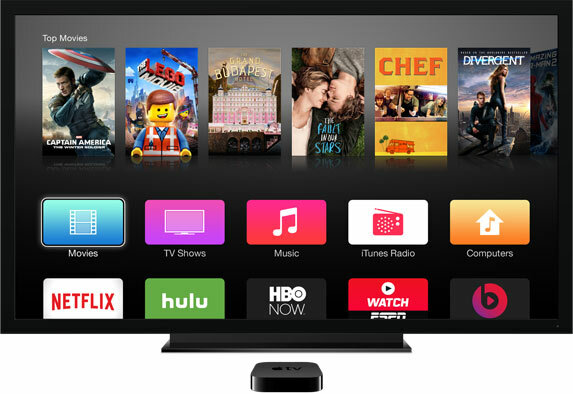 A new Apple TV set top box, however, is still said to be ready for release. The new Apple TV is rumored to have a touch-based remote control and full app store. Apple is expected to announce the new Apple TV on September 9th. That Apple TV better be released next month! It's like, every year they post the same garbage. "Here it comes! Here it comes! Here it comes! Here it comes! aaaaaaand next year." BeatsTV. Worldwide, Always on. Genre: Good shows. As long as there's a new, more powerful Apple TV with an SDK coming I'll be more than happy. Lol, $40, most people won't even pay that. Netflix may not be all that but for the price it is, it's going to slowly but surely destroy cable TV. The era of paying those huge subs is over. I thought the whole point of cutting the cables and going with services and boxes and whatnot was to get away from "live" TV and have TV happen when it's convenient for you. Apple lowering the cost of live TV is not the digital revolution I was hoping for. I mean maybe it's a piece of leaked information that's been misinterpreted or maybe there's so much more than this to what Apple has in mind. But this alone does not feel like a step forward. We'll be moving in a few months and when we do, it'll be the end of cable and satellite for us. We'll get an HD antenna and stream everything else. True, 40USD per month is too expensive, I am very happy with amazon prime which is 99 Dollars per yr, and its totally amazing, plus you get so many other benefits like two days shipping, book lending on kindle, and host of other Prime features.